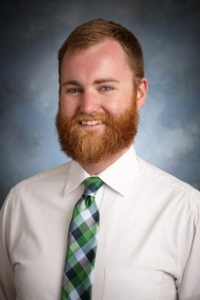 Matt Connolly is in his second year as the hall director of Villa Maria Hall. Prior to coming to UP, Matt was a hall director at Providence College in Providence, Rhode Island, where he also earned his master's degree in Modern European History. He graduated from Saint Michael's College in Colchester, Vermont, with a degree in international relations. A native New Englander, Matt is excited to explore the Pacific Northwest and the Portland area!